Okay, for my topic of the day... a huge focus in my first grade classroom right now is LONG VOWELS.... oh the bane of my existence. We spend the first half of the year learning about the short vowel sounds and by Christmas, I'm always very pleased with my students' progress. I feel like they "get it"... even my intervention students are on the right track with short vowels. Then we start to throw long vowels into the mix and it is what I like to call "intellectual chaos." Ahhhh! This year, I am definitely more prepared to teach these long vowels than I have in the past and I've made some great, interactive activities to get my kiddos up to speed with these tricky vowel patterns!! Right now, we are focusing on Long A, but all of these activities have materials for ALL of the long vowels! My favorite thing about these activities is that they are NOT seasonal. I can pull these out at any time of the year for students to use! Take a look at my favorite long vowel teaching tools! LOTS of FREEBIES here! Also, in the process of writing this blog post, I realized how MANY long vowel resources I have! 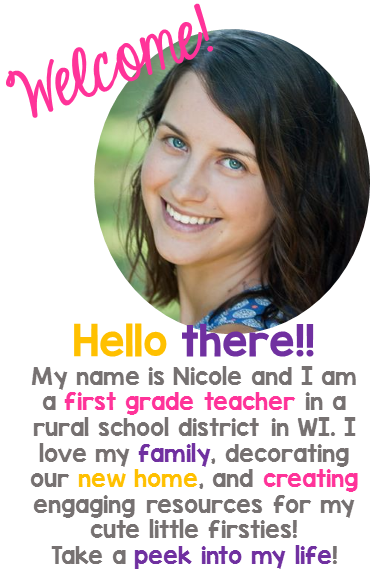 If you want to take a peek at all of them in one place, use the my TPT store custom category "Long Vowel Resources." The freebies are available in that category as well! To help students make a more concrete connection with "magic e," I like to begin the study of each long vowel by taking a look at how Magic E changes the way that we say many of our favorite short vowel words. I make a "Magic E" wand. As a whole group, students read short vowel words on a poster. Then, we add Magic E and see how the word changes! 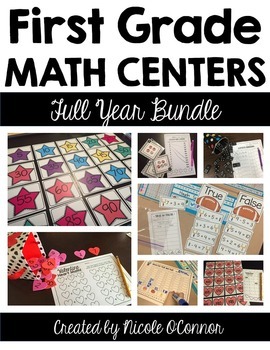 Students LOVE this activity and it is soooo simple to prep! I revisit this poster with my lower guided reading groups. My proficient and advanced kiddos seem to "get it" after the first exposure! I also have sets of cards that I print back to back with a short vowel word on one side and a long vowel word on the back! 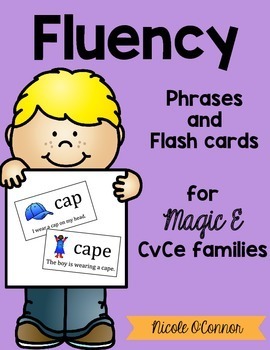 Grab a set of the cards here, Magic E Flash Cards and Fluency Phrases! 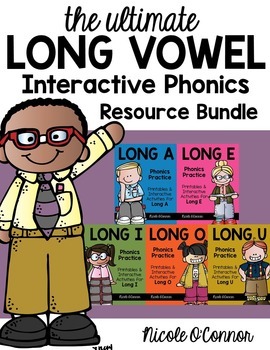 This Long Vowel Interactive Phonics Resource Bundle has made the BIGGEST difference in my long vowel instruction. 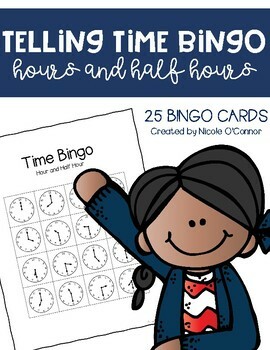 These activities are easy to prep and effective for my little learners! I like to have a balance between paper/pencil tasks and interactive resources. This fits my needs exactly! Let's begin with some of the paper/pencil activities! We begin our day in the classroom by completing a whole group phonics lesson, followed by a paper/pencil phonics practice page! While students are working on the phonics skill that we focused on in the mini lesson, I take the opportunity to pull a reading group! Here is a peek at some of the paper/pencil activities that my students complete for each long vowel! Following our seat work round, students complete a round of word work within the structure of Daily 5. During this time, my students practice word family words as well as sight words. 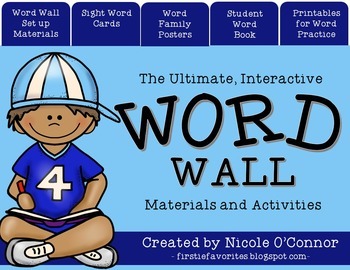 These interactive practice activities are perfect for centers or Daily 5 word work! Grab LONG A MEMORY GAME for FREE by clicking this link! My newest addition to my long vowel word work is Long Vowel File Folder Games and Activities! 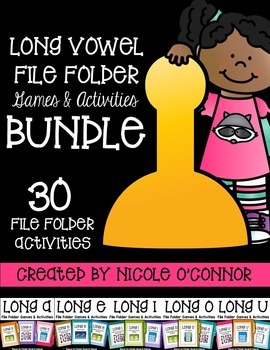 This photo features two of my favorite activities for long a, but my bundle includes 30 different file folder games and activities! One of my favorites is a long/short vowel sort for each vowel sound! It is simple and interactive! My other favorite is a sentence building activity! Students use word cards to complete sentences! The other file folder activities include a Board Game, ABC ordering practice, Spin a Word (real/nonsense word practice), and a Bingo Game! Grab a FREE copy of my Long A Board Game here! Grab the entire set of Long Vowel File Folder Games and Activities by clicking this link or the photo below! These have been a huge hit with my firsties and add some variety to the word work that we do each week! This is my FAVORITE new word work center as part of my Daily 5 rounds!! Students build long vowel words on these simple mats using magnetic letters! I printed them on thick, colorful cardstock for some more visual interest! 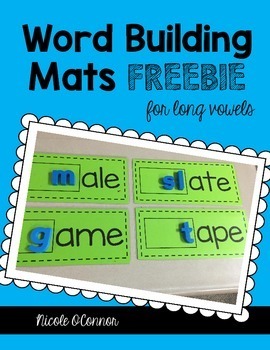 Each long vowel set in my freebie has 6 building mats for different word families! For word work, I simply put the laminated mats and magnetic letters in a gallon Ziploc. I keep my sets in a small bin! Students can just grab and go! Students record their long vowel words on a small recording sheet. I love this part because it holds them accountable at their center and it gives them great practice in writing their words! This little firstie rocked her word building word work!! What a darling! 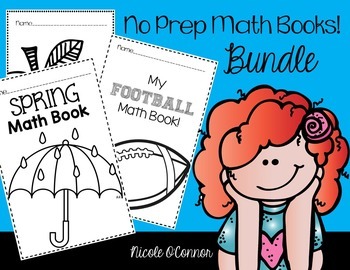 If you are interested in downloading these FOR FREE from my TpT store, click this link or the photo below! 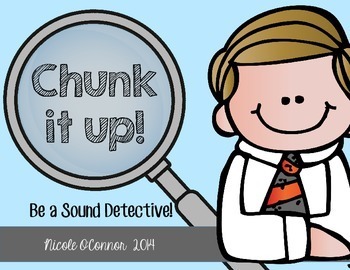 Please help me out by leaving some feedback in my store if you do choose to download this fun freebie! If you have read some of my other recent posts, you know about my new LOVE of interactive notebooks. I downloaded some FABULOUS interactive notebooks pages from The Sassy School Teacher to practice short vowels, blends, and digraphs. I've branched out and started making my own long vowel practice pages! Here's the page that some of my students completed this week! Long A Words Brainstorming! Students glued three long a word family headings at the top of their pages. They brainstormed as many words and they could under those headings. It is a great challenge for them! We talked about using our alphabet on the wall to see if we could add those letters to the beginning of the word families. We had great discussions about real and nonsense words! My teacher heart was happy as I saw their excitement in each word that they thought of! Now, the above brainstorming activity was a perfect challenge for my students that are "at grade level." Next week, I'm going to do a similar activity with my intervention firsties! Instead of them brainstorming the words themselves, they are going to sort existing words under each heading. See my example below! This is an idea that I took partially from our Title 1 Reading teacher. She has students sort word family words and then read the words down the columns. After practicing reading DOWN each column, she has her students read ACROSS the notebook page. Then, the students are switching between word families as they read and it is a lot more challenging! 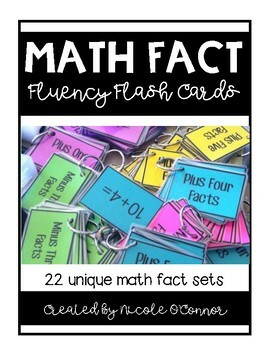 Perfect for helping to build that fluency and automaticity!!! Poor color choice on this paper... I was running out at home for my examples! Oops! 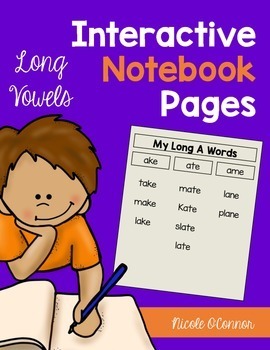 If you are interested in using these Interactive Notebook Pages for Long Vowels, please click the link to my TpT store or click the photo below! My students LOVE anything that can be referred to as a PUZZLE! There is something so naturally engaging about puzzles! I use these for my early finishers! So fun!! 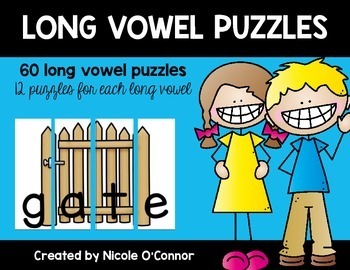 Click this link to grab puzzles for each long vowel! My final long vowel teaching tool that I have been using is my Long Vowel Word Sorts!! I use this as a small group activity in my reading groups and I also put it in my word work centers for Daily 5! Students sort word family words under headings and then record them on a simple recording sheet! 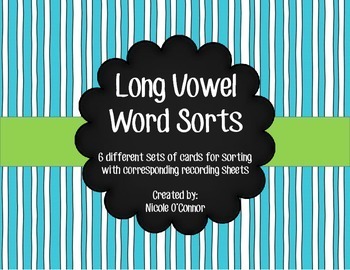 You can grab these in my TpT store as well: Long Vowel Word Sorts! I hope that you find this little post helpful in your teaching of long vowels!! 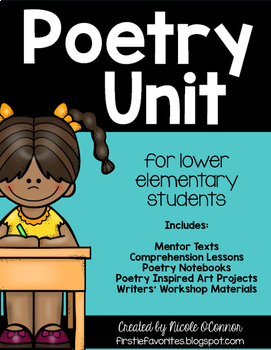 Like I said... these activities have helped to cure my hate for long vowels... and I'm NOT saying that I LOVE them now, but I do feel more prepared to teach them! I did not know what you go glen coco meant, but I just looked it up and now I can't stop laughing! Just found your blog and I'm loving it! Lovely. True love stories never have endings. Thank you for sharing such a amazing post with us.